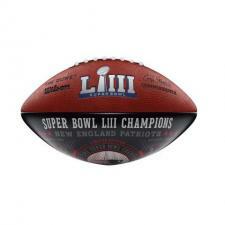 Patriots Super Bowl 53 Champions Commemorative Blue Football | Sports Memorabilia! 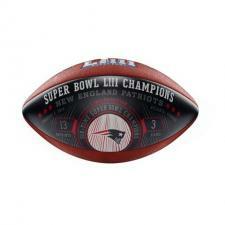 Celebrate the Patriots Super Bowl victory with this Patriots Super Bowl 53 Champions Leather Commemorative football. 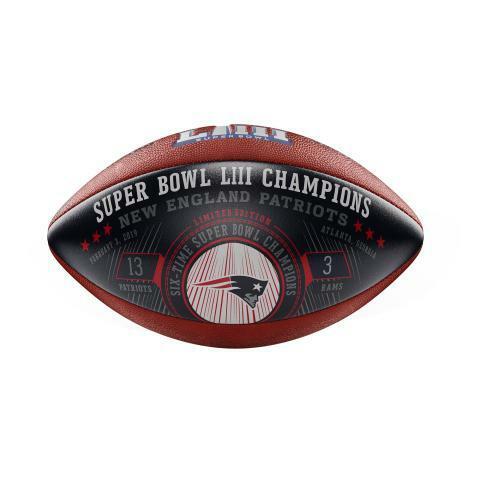 This commemorative Super Bowl 53 Champions leather Football honors the Patriots in Super Bowl LIII that was played on February 3, 2019 in Atlanta. Each Championship football has the New England Patriots color logo in the center on a blue smooth colored panel. The top panel has the Super Bowl 53 blue logo. Each leather football has the score for each team (Patriots and Rams), the date, location, "Super Bowl LIII Champions", and "Six-Time Super Bowl Champions" printed on the football. 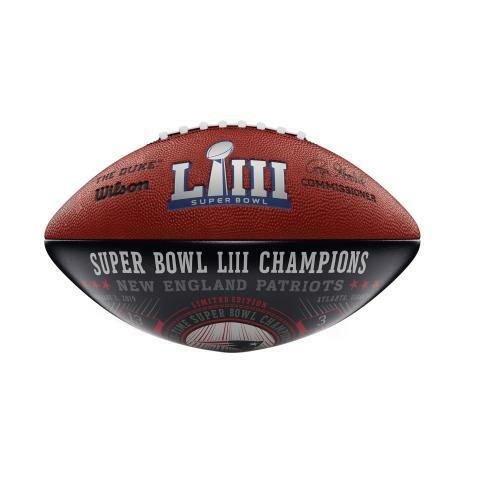 This Patriots Super Bowl 53 Champions Commemorative Football is truly a great collectible made with real leather. Made by Wilson in the USA. Limited production, don't miss out! The Patriots won their 6th Super Bowl against the Rams with a score of 13-3. Julian Edelman received the MVP award.